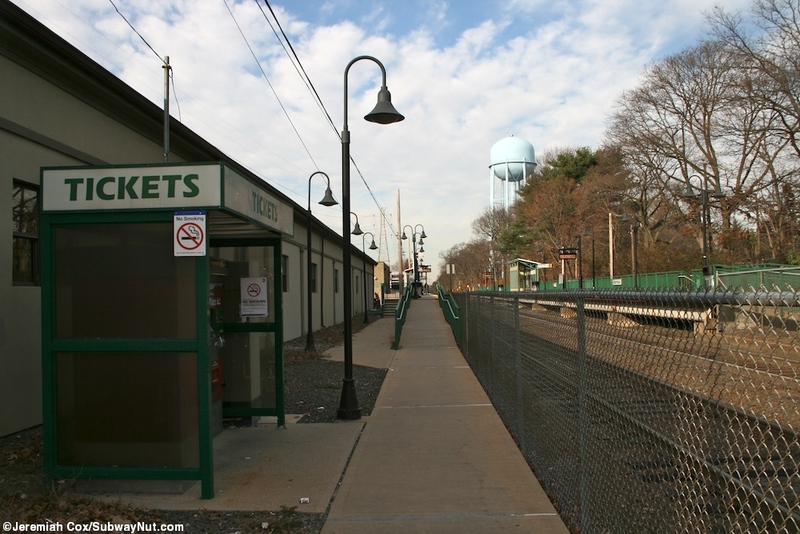 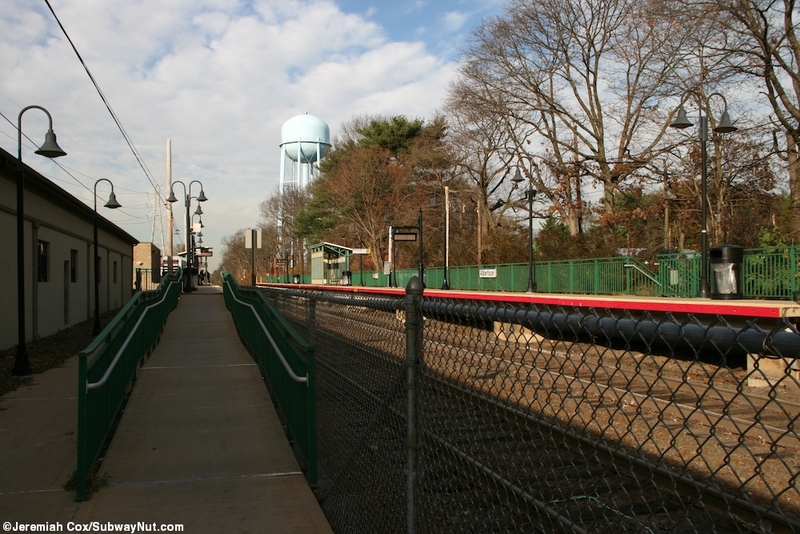 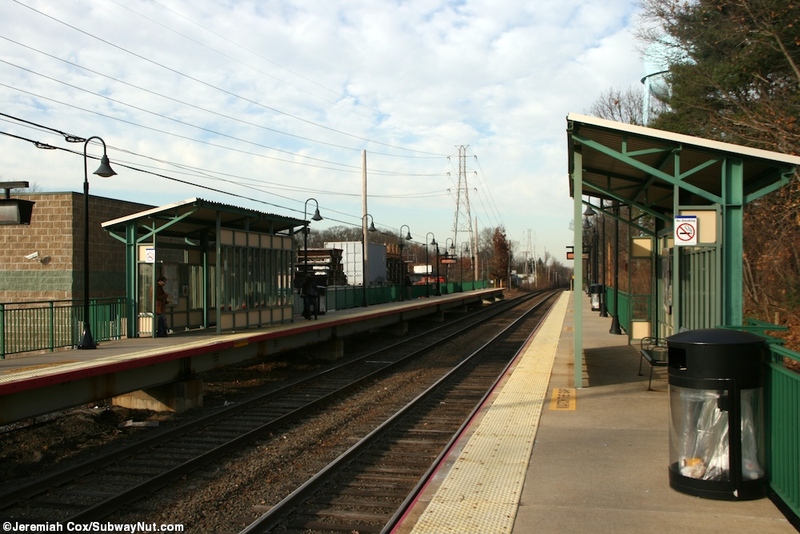 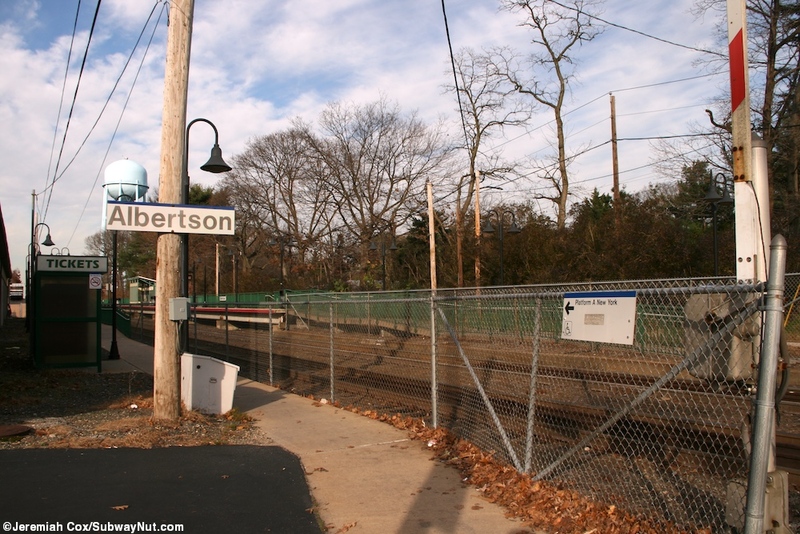 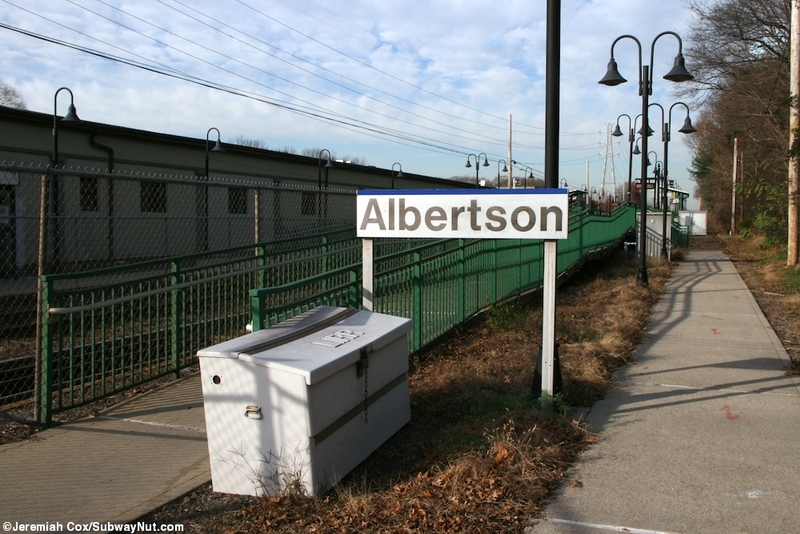 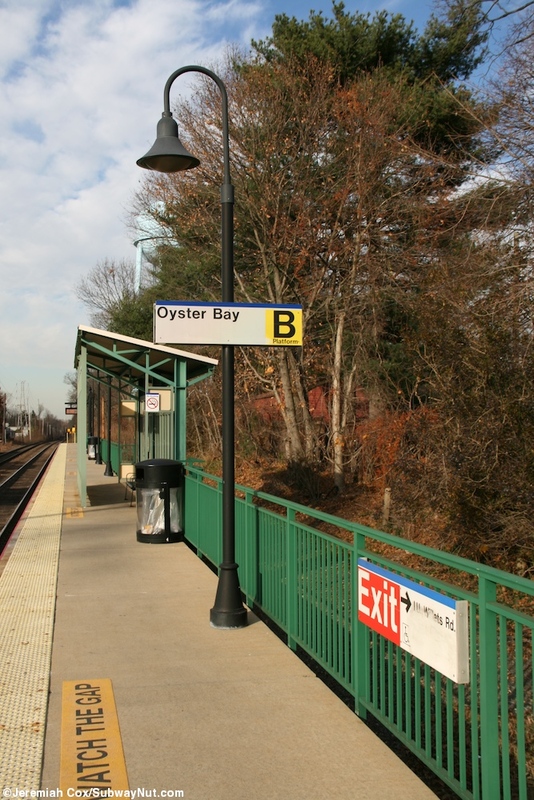 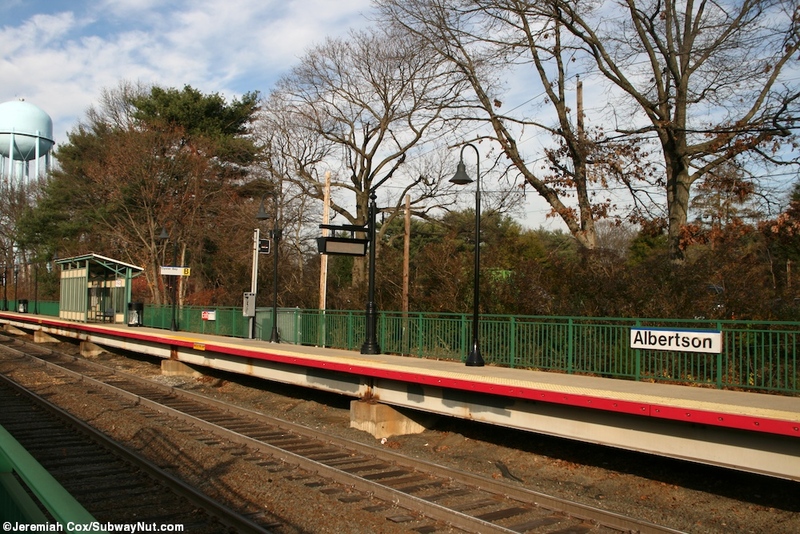 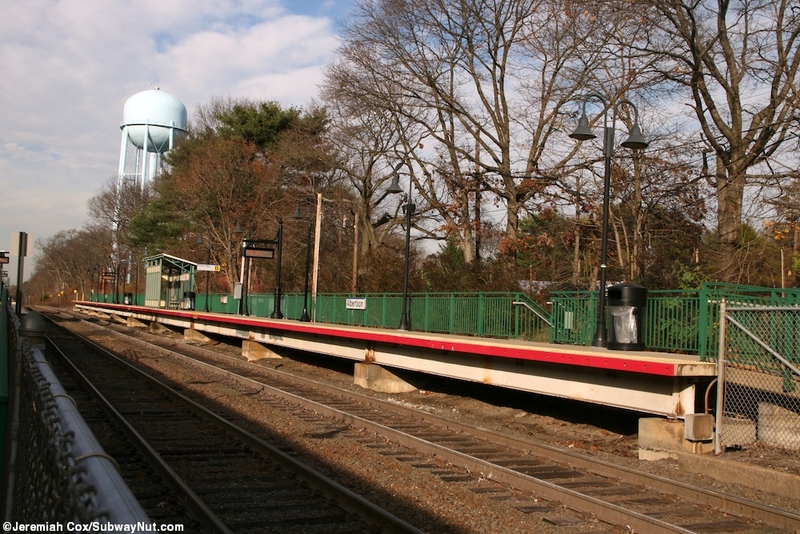 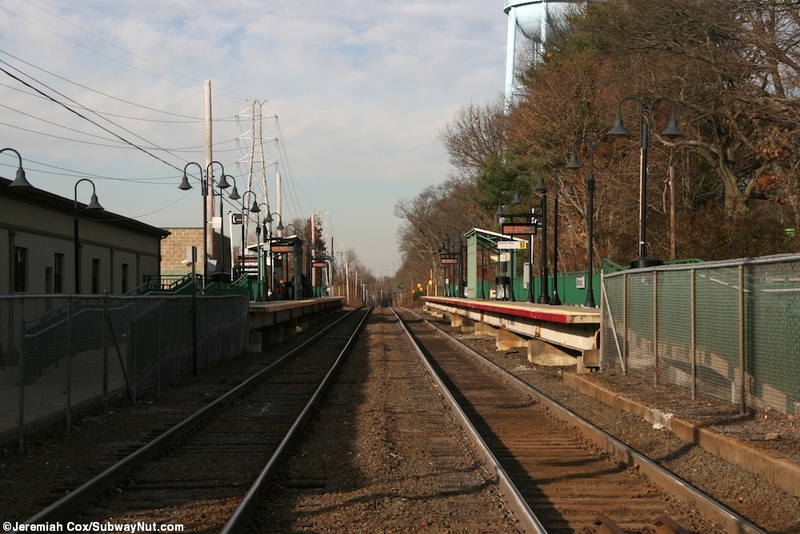 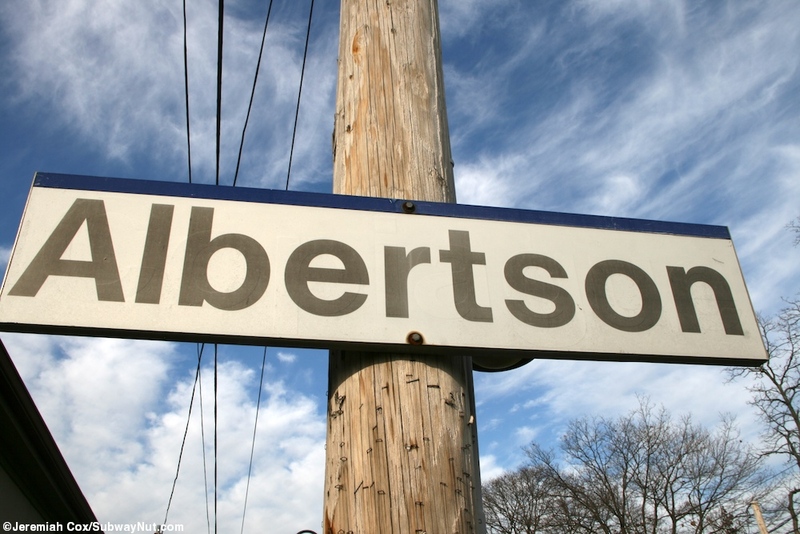 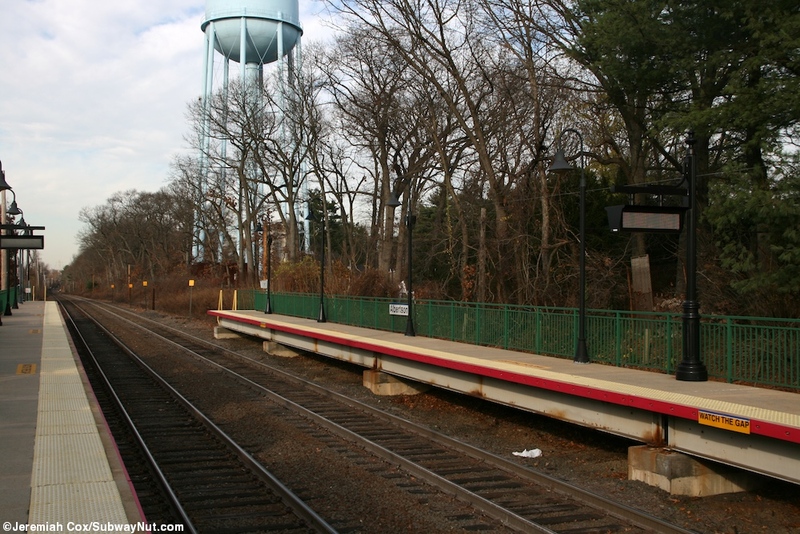 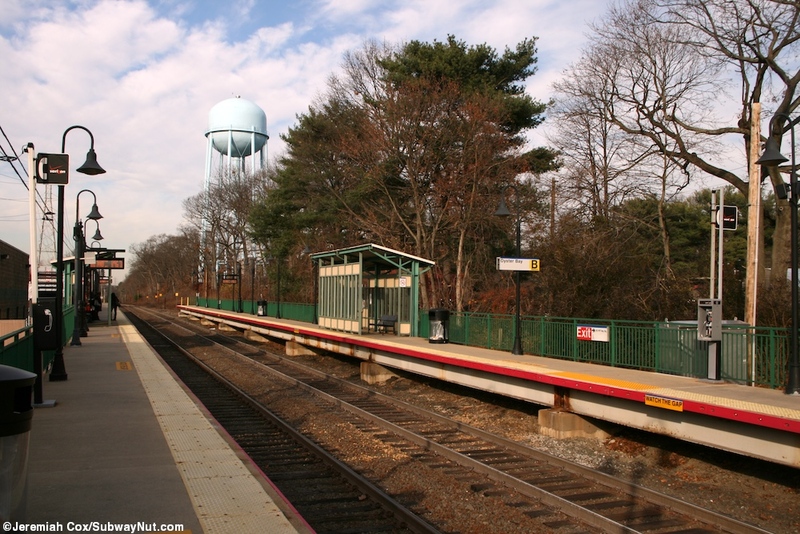 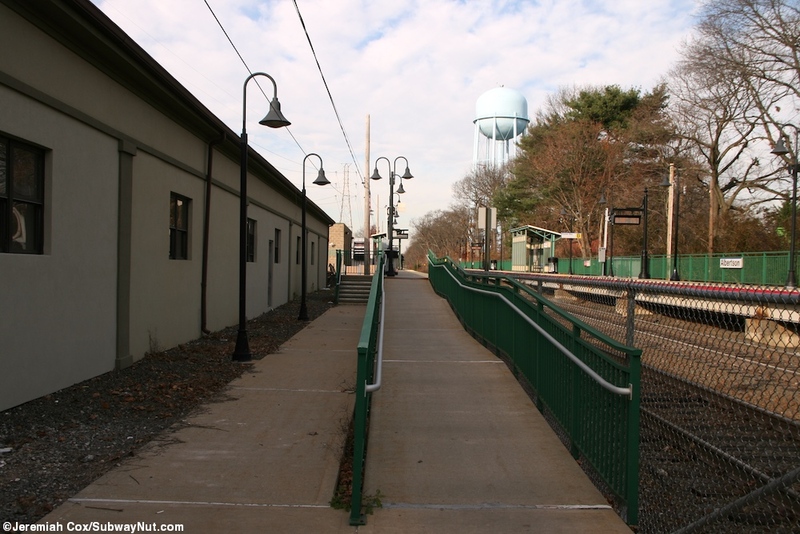 Albertson is the most simple Oyster Bay branch station and never housed a depot of any kind, it was always just a shelter. 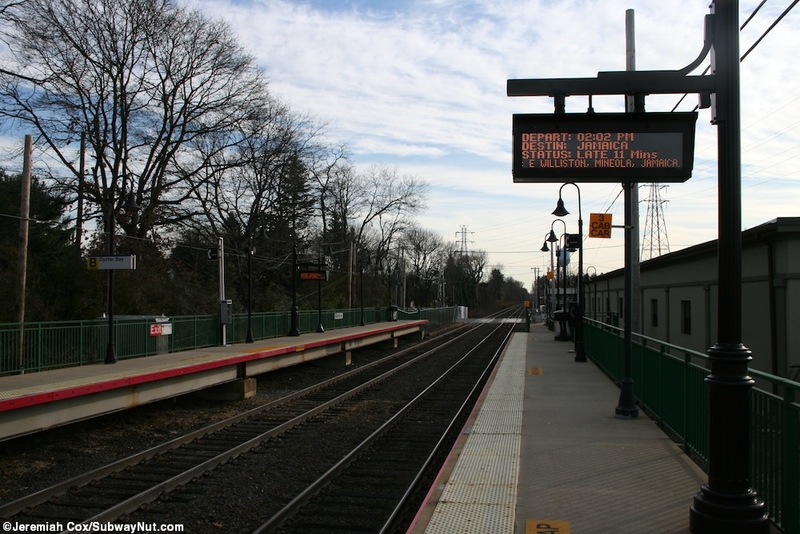 Todays station consists of two modern 4 car high-level side platforms completed in the late 1990s before the C3s entered service. 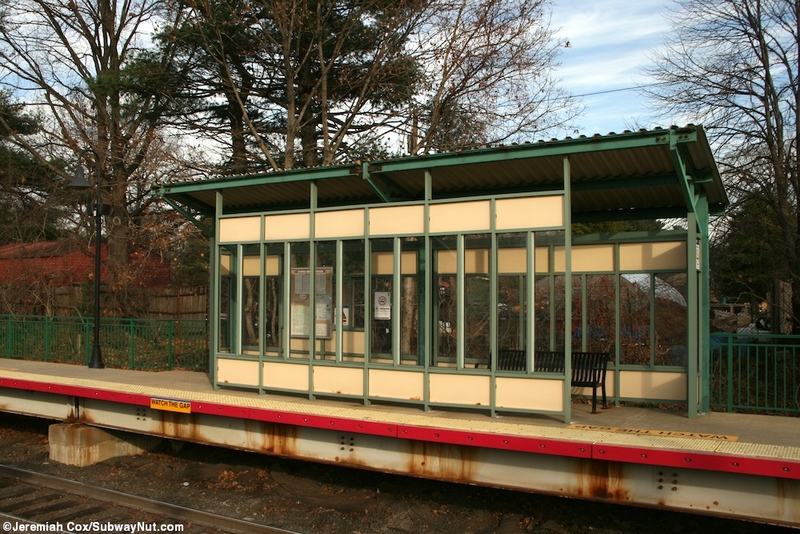 Each platform has green fencing and a single on platform windscreened roofed waiting shed with a bench inside as the only amenity for waiting passengers. 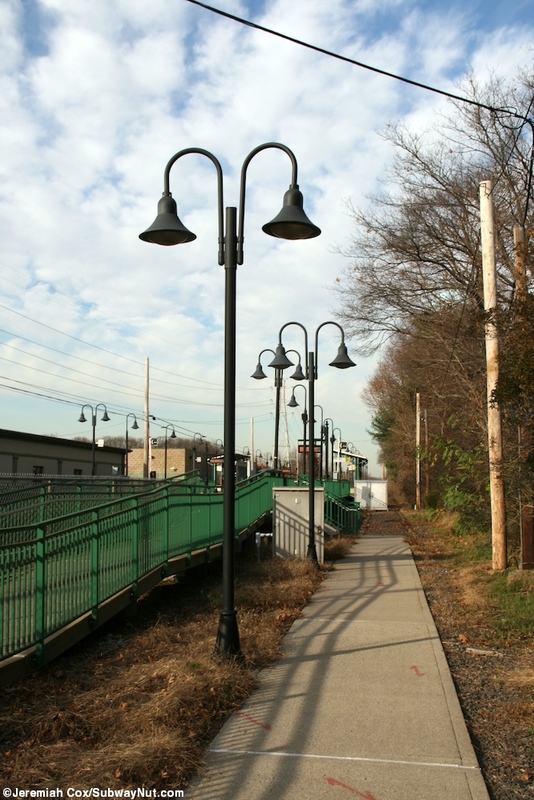 The platforms also each have a line of black lampposts. 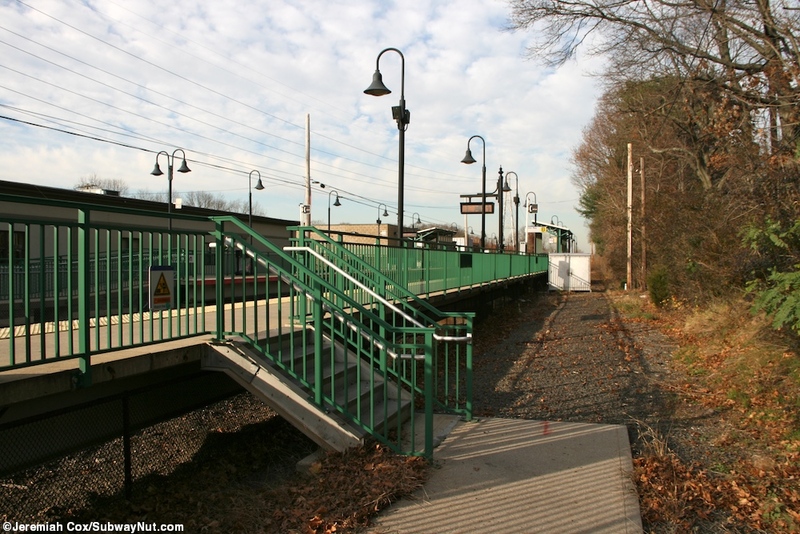 Each has a single entrance with a ramp and staircase at their southern ends that connects to a short path (where the low-platform stop once was) to the grade crossing at I.U. 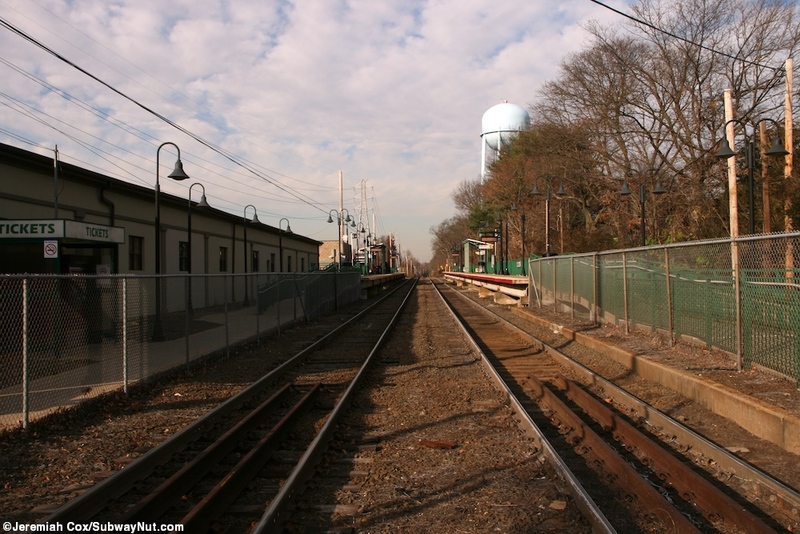 Willets Road. 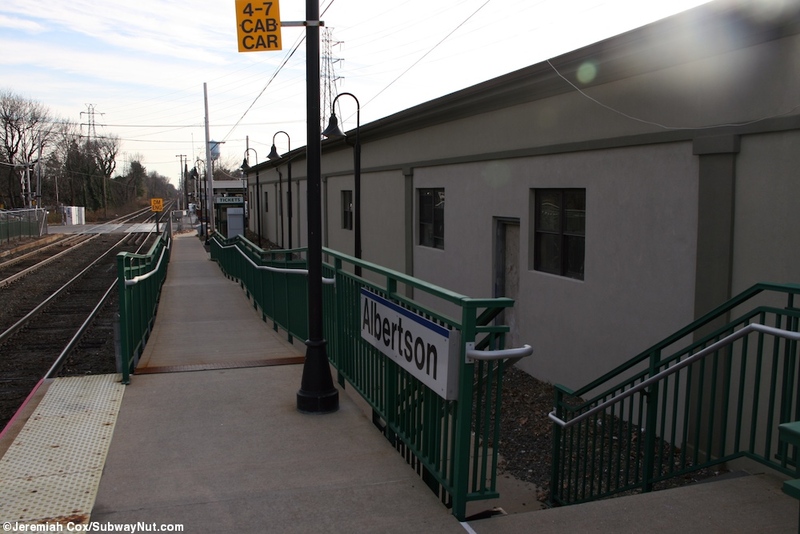 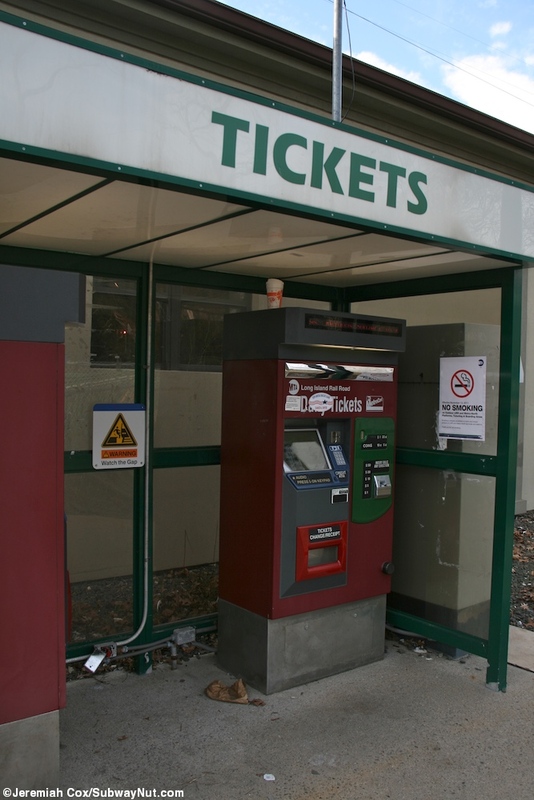 There is a shelter along the path to the New York-bound platform that hosts the station's two TVMs.